I love that I get to give you this little sneak peek at our upcoming October collection. There is so, so much newness in this next release – and we have poured so much love into it, we can’t wait to finally bring it to you. First, we have to talk about the new apparel for Girls, Baby, Tween, and Women. 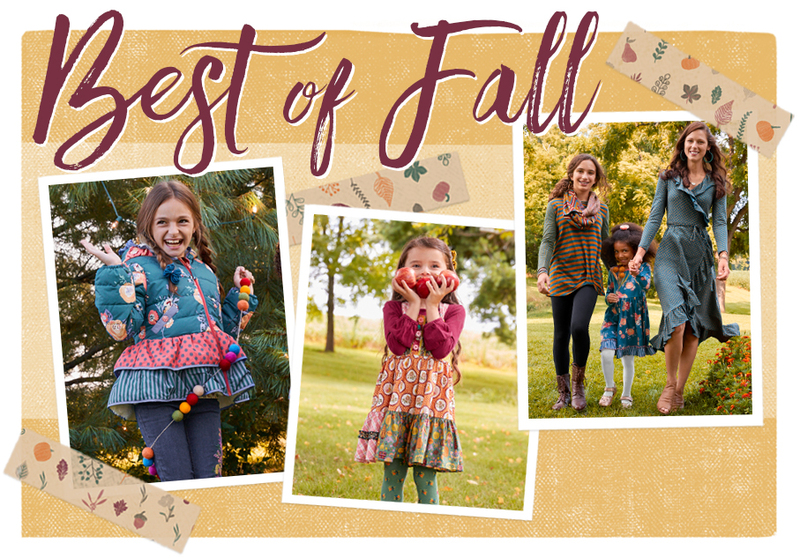 We were so inspired by all the pretty autumn hues and just the coziness of Fall – which you’ll see in our textured fabrics and super-soft knits. We also did a really great mix of favorite heritage styles and some fun new arrivals, which brings me right into all the newness in store! Yes! For the first time ever, we’re doing a winter outerwear collection. There are pieces for Baby, Girl, even Women! And these pieces are as practical as they are pretty! We wanted it to be super-cute, but super-functional, too – that was really important to us. So every piece features a water-resistant exterior, layers of warmth, and super-cozy linings. 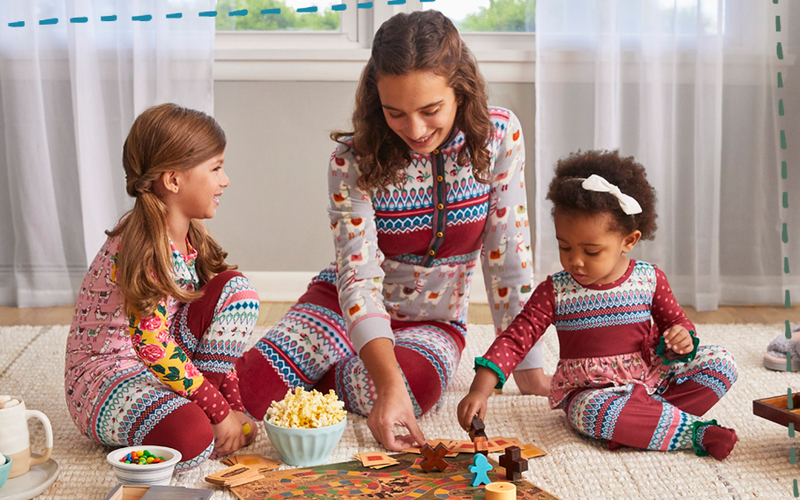 We’re also offering jammies – for everyone! We know holiday PJs are something you all love, so we wanted to expand that this year with options for Brother and Dad, too. We can’t think of a cuter holiday card idea! We are so excited about this one! We’re teaming up with our real-life best friends at Livie & Luca to offer you FOUR styles exclusive to Matilda Jane. These sweet styles were designed with our colorways in mind – so each one is perfect for creating that head-to-toe MJ look. And when you get yours, be sure to check out the pink sole – that’s exclusive to us! We have SO MANY new additions in home – with bedding for Girls, Women, and even Baby! Yes – we did a complete nursery collection. It’s something our designer Meagan started concepting while on maternity leave with her son – and it is full of so much feeling and love. You could say we had baby on the brain, because we also designed a complete layette collection for all our newest little MJ fans. It’s so sweet and very mixy-matchy, too. It’s perfect for gifting – or introducing your own gal into MJC! It’s hard to believe, but these sneaks show just some of the surprises in store. You have to check out all the new arrivals on October 1! Hello! How can i sign up to receive your catalogs? 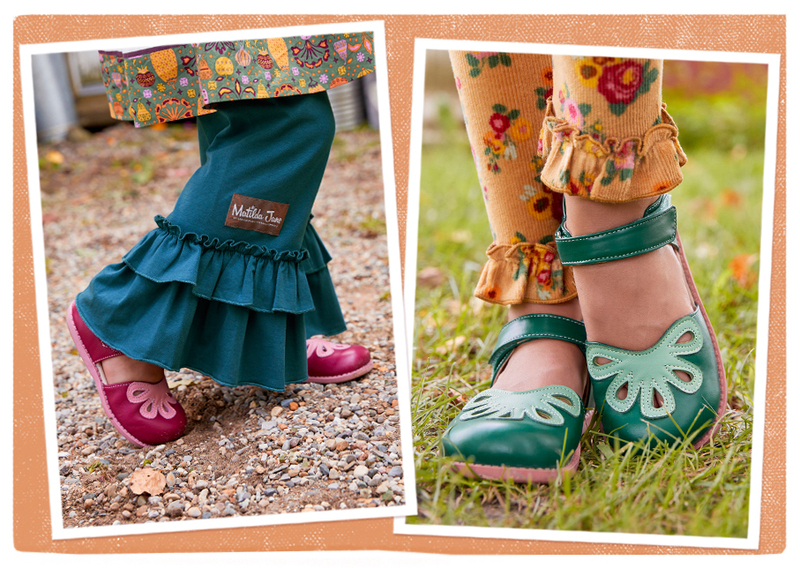 Just the other day as I was browsing GLT I was thinking how great Matilda Jane shoes would be. Please delight me and say they will run in adult sizes also! I’m thrilled!